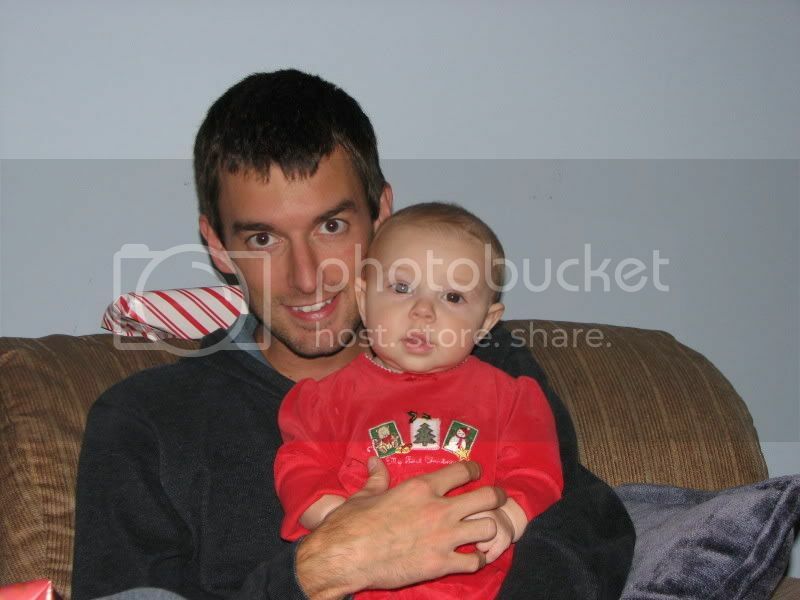 Santa found me in Virginia this Christmas, at the home of my sister's family. 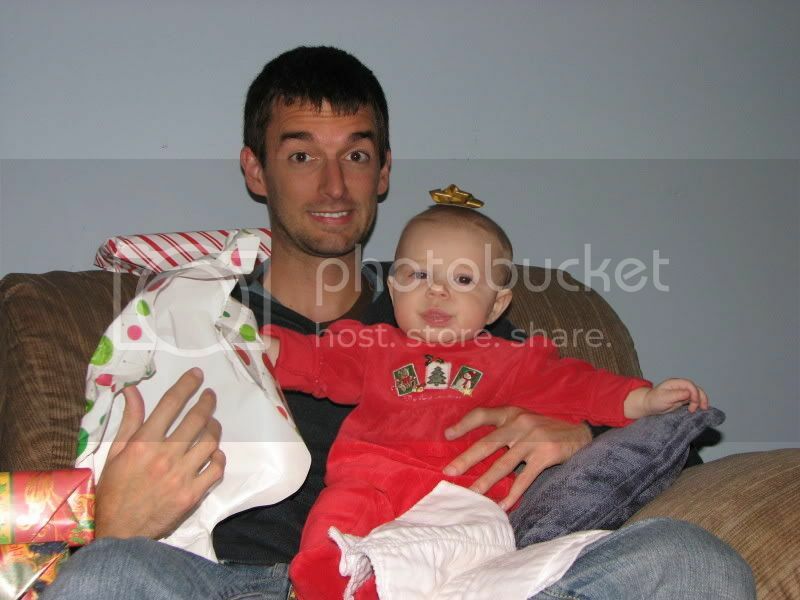 It was a good year to go to their place, because it was the very first Christmas for their daughter Ellie. Ellie 'n me posin' in front of the tree. She's almost 6 months now. She's teething, so everything goes in her mouth. 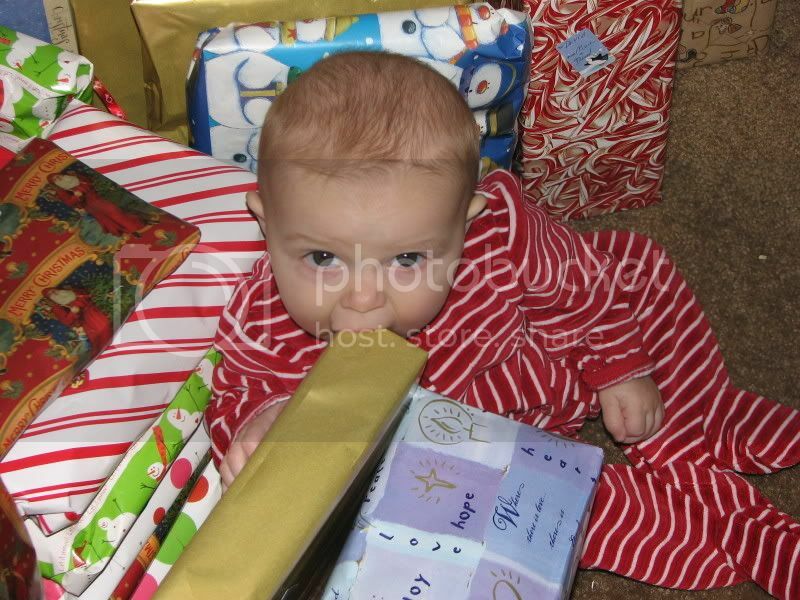 Or she loves the taste of wrapping paper, maybe. 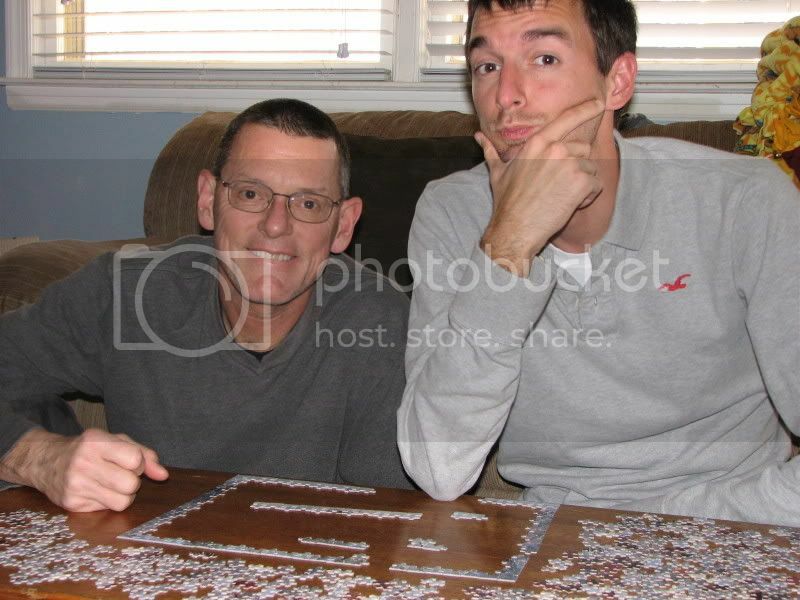 Dad and me working on the Christmas puzzle, something that my grandpa and I used to do years ago. It was a nice tradition to revive this year. She usually cries when I hold her. I guess she can smell my fear. 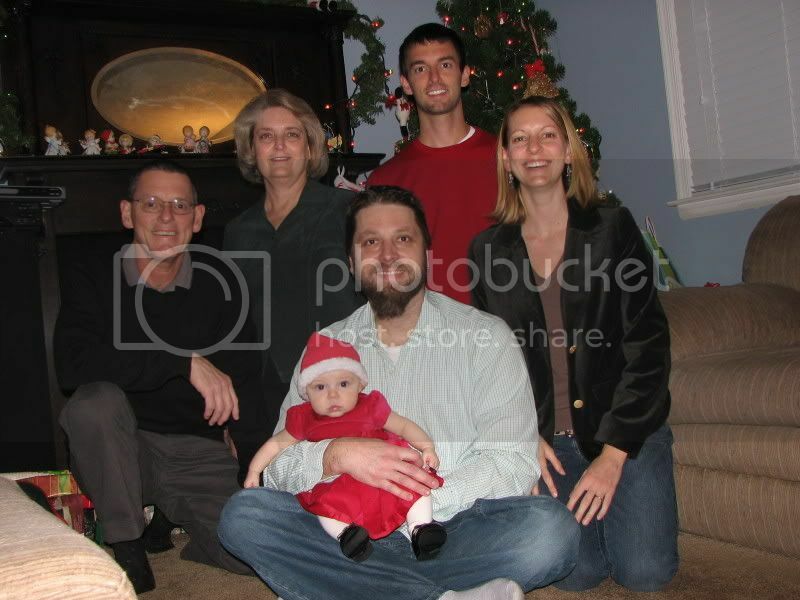 We managed to capture on film the moment when my parents officially, indisputably became OLD. They are happily modeling the presents they received from Ellie's other grandparents. 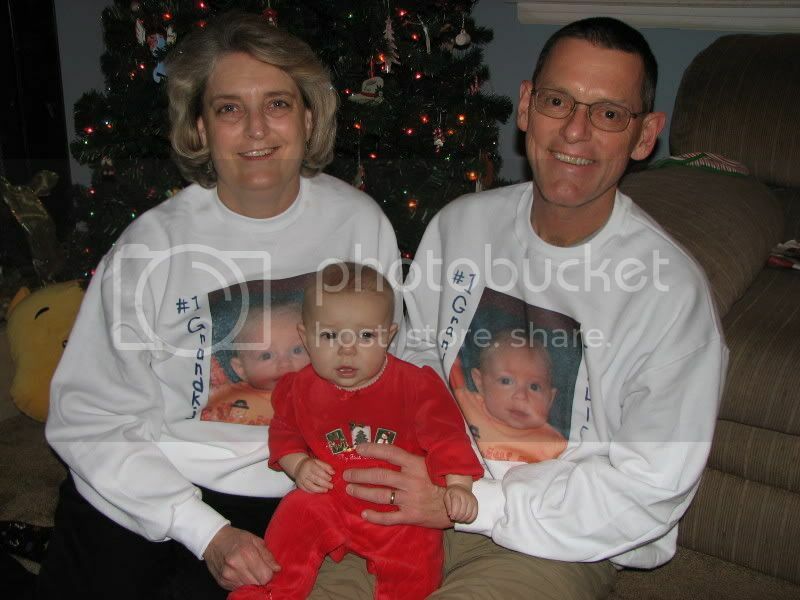 Look for them to wear these sporty white sweatshirts to Wednesday night church, grocery shopping at Wal-Mart, on bingo night at the American Legion hall. If you are lucky, they'll be coming soon to a Florida R.V. park near you! 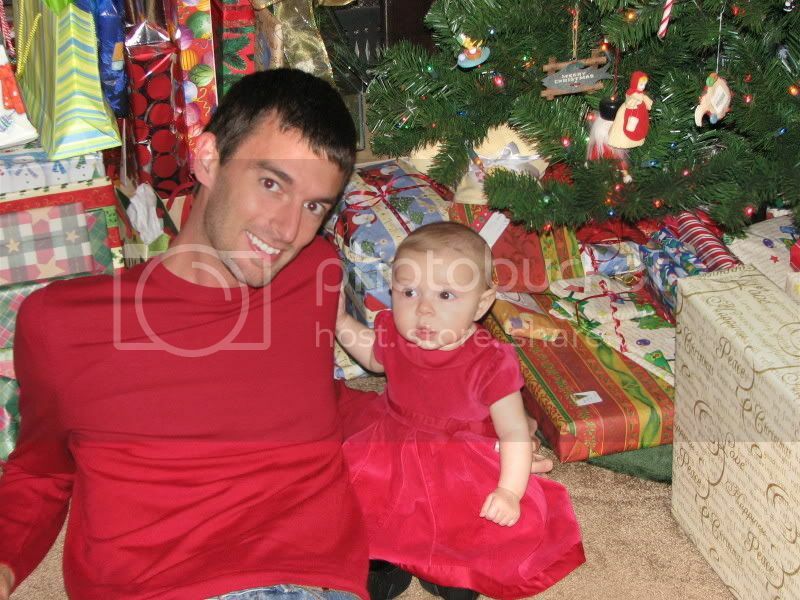 Gosh, that's a lot of pictures of my niece! Sorry to bury you in my newfound sentimentality. Hope you have a very happy New Year!!! I've already given you my picks for the five best albums of the year, and if you made it through that drivel, I've buried you in an avalanche of the books that I read this year. 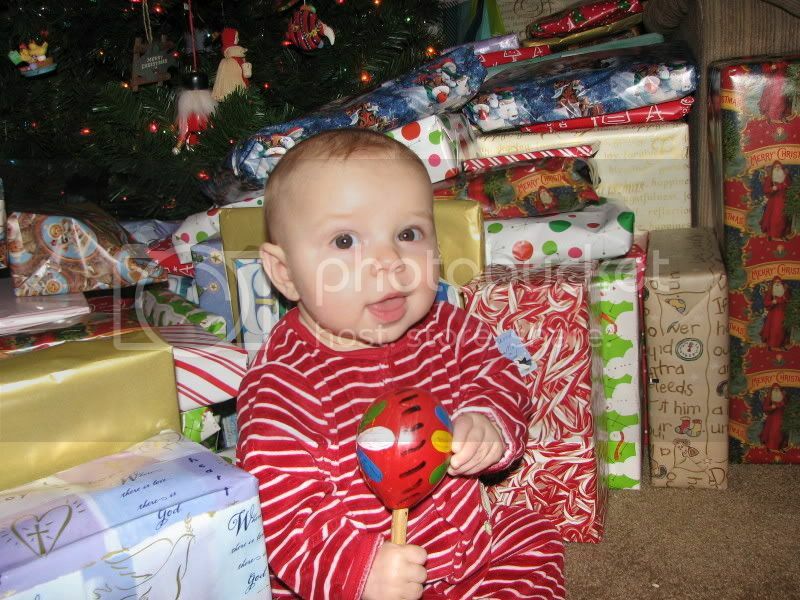 Next, here are my highlights, superlatives, and best of the rest of 2007. I had a lot of time for reading in 2007, and I took advantage of it. Here's what I read this year by genre but in no particular order. Titles that I would recommend are marked with an +. 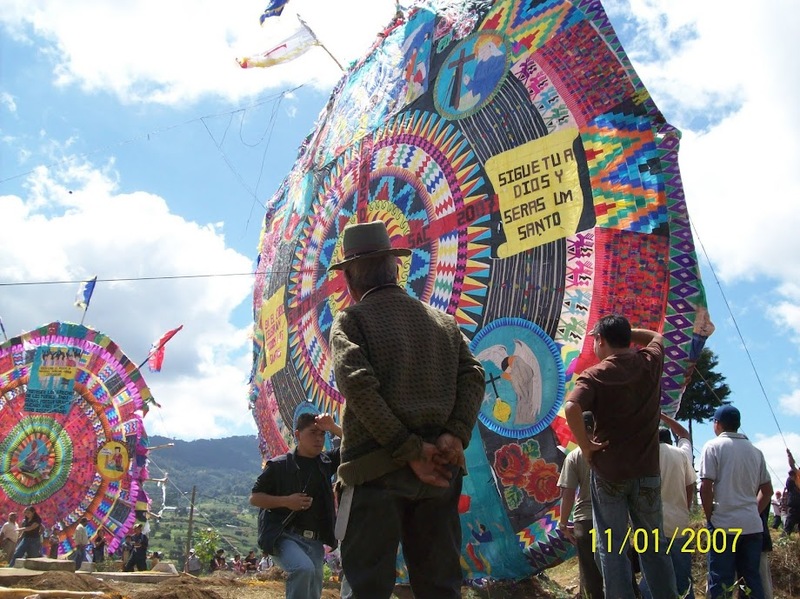 By the way, have you seen this site, Good Reads? 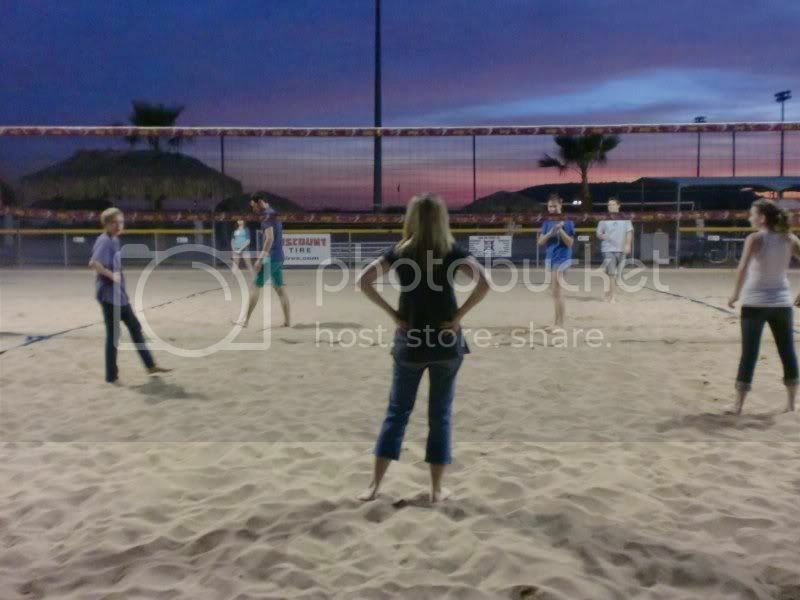 I just joined last week; it is some kind of social networking site (aaugghh!) for book reviews and reading recommendations. You can see what your friends are reading and post reviews of books you've read. Interesting! I fancy myself a music lover, or at least a music strong-liker, so I enjoy making a list of my favorite songs each year. Part fun list-making exercise, part delusional project to create CDs for a comprehensive, mega soundtrack of my life. And then I like to post that list at the end of the year here on my blog so that you can read my choices and scoff at how poor my taste in music truly is. Whatever, ugh, I like what I like, OK? You probably bought Hootie and the Blowfish at some point, too, so no pointing fingers from you. But, here's an excuse: I've had a weird year in lots of ways, and it has kind of been typified by my consumption of music. Because I was living or travelling abroad for something like 11/12ths of the year I haven't been continually connected to radio, a serious source of digital streaming music, or any other fount of new, happening, and/or interesting music (music videos, Paste, other media). So my favorite song list for 2007 is, um, weird. It includes Taiwanese and Latin pop, Regaeton, a traditional Chinese New Year song, and no less than two commercial jingles. It is the kind of list that would be completely inaccessible to anyone but myself and therefore ridiculous to post, so I'm not going to. The music that I have enjoyed this year has been albums that I've bought off iTunes or managed to score in the import sections of Taiwanese record stores by artists that I have been enamored with in the past. In other words, I expanded my library this year with new records but really no new artists. Here then, are my top 5 albums of 2007. If you know me well, you will be surprised by exactly none of these choices. 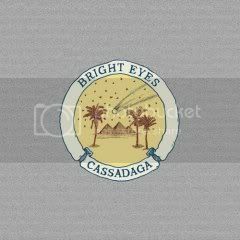 1 - Bright Eyes, Cassadega - Tune for tune, this CD had the most songs that stuck in my head with no hope of banishment in 2007. The only cure is another listen. Sweeping, discouraging, romantic, countrified, strange, brilliant. 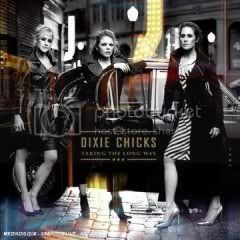 2 - Dixie Chicks, Taking the Long Way - As it turns out, they were way right about President Bush anyway, so if you haven't gotten over that yet, the joke is certainly on you. A brave album, full of difficult sentiments, somtimes bitter truths, a little dish on the dirty South, and that's not to mention beautiful harmonies. "Everybody Knows" is my anthem of the year, a song about living up to the truth and the life that you've created for yourself in less than pleasant circumstances. 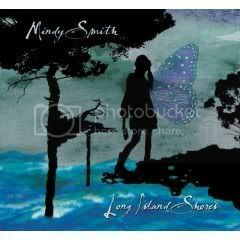 3 - Mindy Smith, Long Island Shores - Both soft and striking, the perfect voice on some imperfect songs about love, the meaning of home, Jesus, and the turning of the world. No one else could make such a heartbreaking, tear-inducing song about a family reunion sound so sweet, and "Tennessee" made me feel homesick for a home that I continually take for granted. 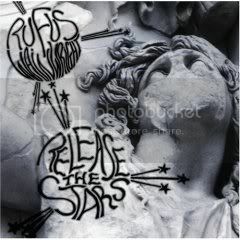 4 - Rufus Wainwright, Release the Stars - Bombast is the key; nothing is ever understated with Rufus. He's tired of America, and he isn't afraid to say it (gofuckyourselffoxnews). It's a randy album ("Between My Legs," "Slideshow"), but there's lots of those slow, drawn-out opera-ballady things that he does so well here too. My second favorite vocal question of the year: "Do I dissapoint you in just being human, and not one of the elements that you can light your cigar on?" 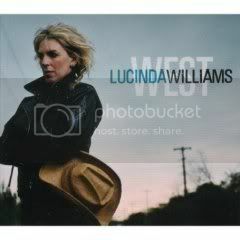 5 - Lucinda Williams, West - My first favorite vocal question of the year, much more simply put: "Are you alright?" I've had nearly a year to live with this album, and I'm still torn by it. About half of the tracks here are perfect in every way, and they will stand up with her best songs from Car Wheels on a Gravel Road even. "Learning How to Live," "Rescue," "Everything Has Changed," and "West" are highlights. But those chewing-on-gravel spoken rock things that she does, I just hate those so much. "Unsuffer Me" and "Wrap My Head Around That" are my picks for the two worst songs of the year; "What If" is just a bad take on John Lennon's "Imagine"; and "Words" is a little too self-congratulatory for my taste. But I guess I'm probably just bitter because I was expecting a 2CD set. What music did you like in 2007? Let me know, 'cause I've got a lot of catching up to do.